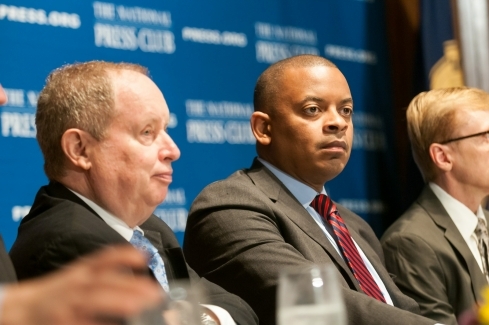 United States Secretary of Transportation Anthony Foxx (middle) at a National Press Club Luncheon July 21, 2014. 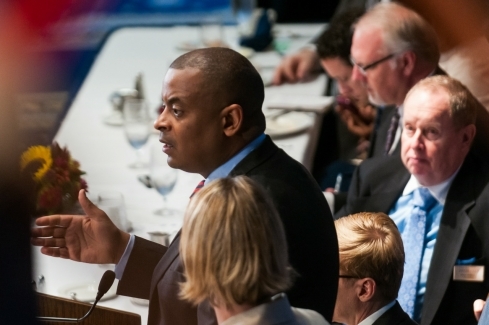 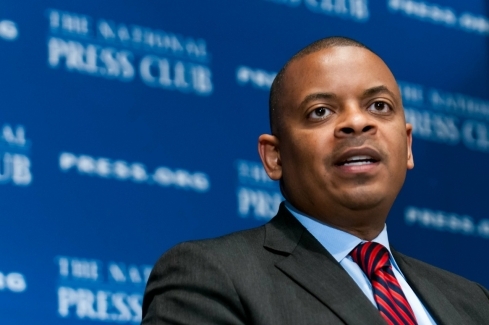 United States Secretary of Transportation Anthony Foxx speaks at a National Press Club Luncheon July 21, 2014. 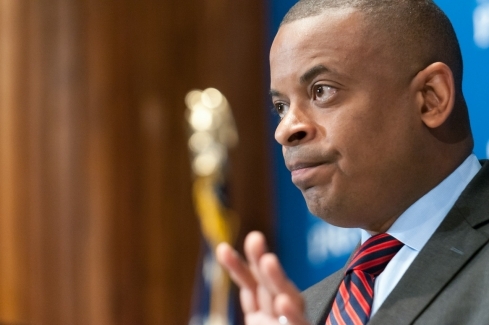 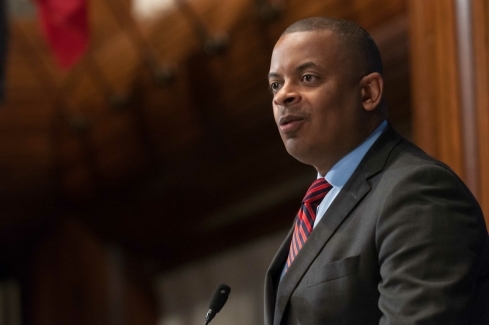 United States Secretary of Transportation Anthony Foxx speaks at a National Press Club luncheon on July 21, 2014. 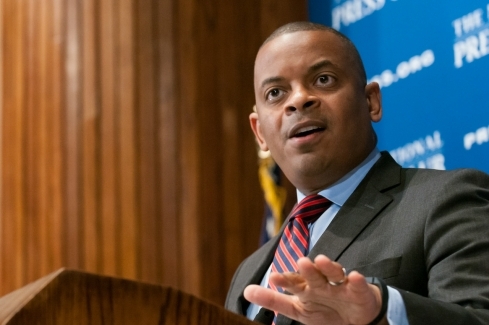 United States Secretary of Transportation Anthony Foxx speaks at a National Press Club luncheon on July 21, 2014. 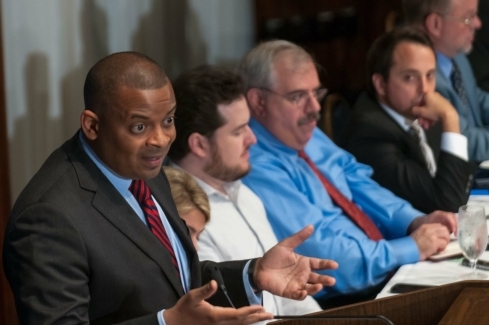 Joining Mr. Foxx at the head table were Angela Greiling Keane (obscured) Aaron Kessler, New York Times; Gary Gentile, Platts Oilgram News and Martin DiCaro, WAMU transportation reporter. 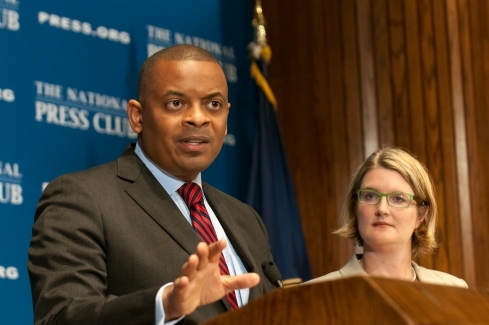 United States Secretary of Transportation Anthony Foxx answers a question from former National Press Club president Angela Greiling Keane (right) at a July 21, 2014 luncheon event.